HETY AND ZAMBO KINGS OF CREOLE (ENGLISH) Recognized as one of the most important DANCHALL – ALTERNATIVE bands in Colombia, Caribbean and Latin America, this group is known for their powerful sound, especially their African flavor and the contribution to keeping alive the “Raizal” culture and the native dialect, the "Creole", making its music breaks all frontiers touching the hearts of their fans. HETY AND ZAMBO members represent the archipelago of San Andres, Providencia and Santa Catalina, his career began in 2006 with his first mixtape called "Wi Rule Di Eria" which contains their hits singles "Seke Seke" and "My Bunki" whose videos traveled through the internet, showing that unmistakable island flavor. Back in 2007 and 2008 the group toured around Colombia, getting a huge number of fans on the Caribbean coast, center and Pacific coast. In 2009 they released their first studio album entitled "Dreams Can Come Tru" under the independent label AUDIO LIRICA ENTERTAINMENT and the leading producer and musician Benny B. This album represents the feeling of belonging to a small island in the middle of the Caribbean and leaves it in search of better options to enter into the music industry without forgetting their roots and the native language, the "Creole". For Spring Break 2009-2010 they recorded his second mixtape "Mod Up Style", showing there’s no musical limits exploring fast rhythms of Reggae, Soca, Zouk, Hip Hop, Dancehall and Electro. Benny B, Dj and Producer says, "Hety And Zambo are more than a specific sound or style, they are the representation of their people, are the voice of a small island called San Andres, mixed with roots and an African heritage". HETY AND ZAMBO have been opening act for major groups from Puerto Rico, Panama, Jamaica, Europe and United States as Tego Calderon, Anthony B, Calle 13, Buraka Som Sistema, Ministry of Sound, Barrington Levy, Tanya Stephens, Cultura Profetica, Capleton, Tanto Metro And Devonte, Bomba Estereo, Busy Signal, Kiprich, Kassav, Gyptyan, Silvestre Dangond, Popcaan, Beenie Man and Shaggy, among others. For summer 2010 the band arrives to Denmark, Sweden and Spain for their first international tour, performing in one of the most important Scandinavian summer festivals, RAW FEST 2010. 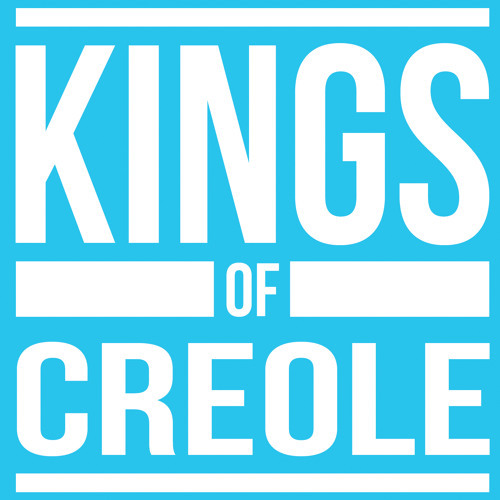 2012 was a great year for the KINGS OF CREOLE, they were the SHOCK MILLER FEST winners and chosen as opening act for SHOCK MAGAZINE MUSIC AWARDS also winning the award for "Best New Shock Miller Artist 2012". For the same year they were part of the official line up for the most important Reggae Dancehall Festivals in Colombia like GREEN MOON FESTIVAL, ROTOTOM REGGAE CONTEST LATINO and JAMMING FESTIVAL. They are currently on the production of their second Studio Album titled "Di Next Step", which already released the singles "Tek A Ride" "Rude Buay" and "Tu Pum Pum" that brings all the energy directly from the Colombian Caribbean.